Soooo it’s not just me, right? Let’s say just for the sake of argument that I popped into ALDI yesterday to pick up just one ingredient I’d forgotten for a recipe. 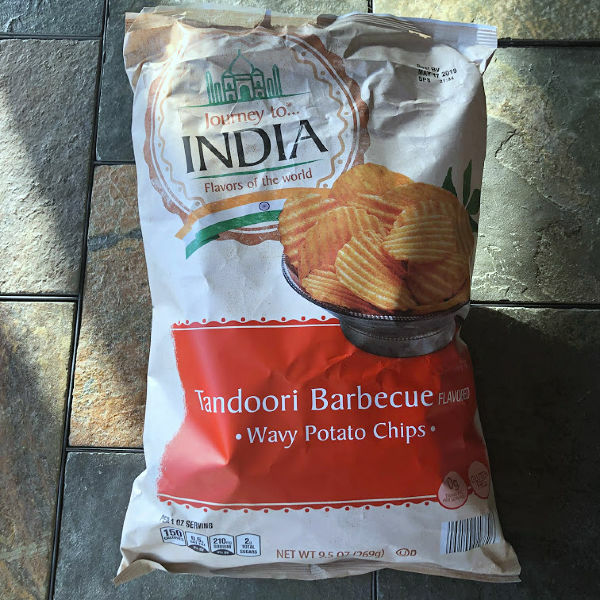 And let’s say that they had piles of these Journey to India Tandoori Barbecue flavored potato chips sitting by the registers (along with Journey to Thailand Thai Curry flavor chips). And let’s say that somehow — we won’t talk about how — one of them fell into my cart and followed me home. This sort of thing happens to you too, right? So, now that we have established that ALDI impulse buys can happen to anyone, let’s talk about these potato chips for a minute! These tandoori BBQ chips are so extremely dangerous, you guys. 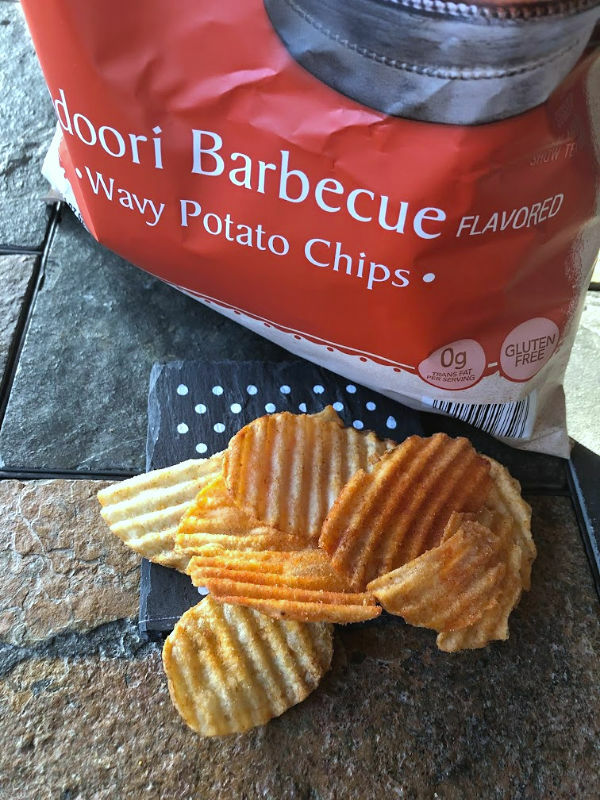 Take the sweet & salty addictive nature of your normal barbecue potato chip, then kick it up a notch with a little spicy tang. 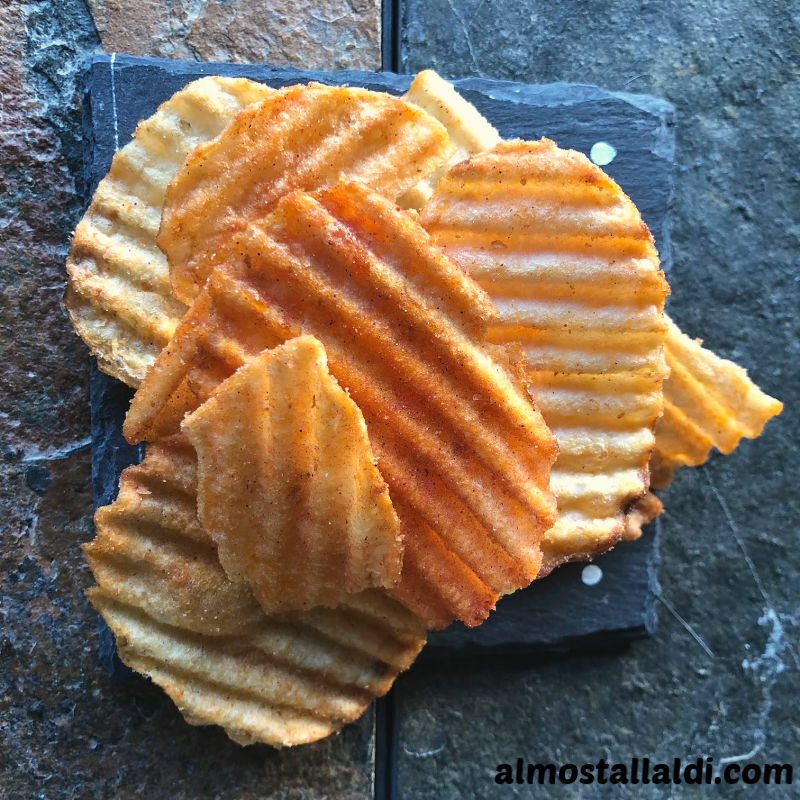 And, these are the rippled potato chips, which means they hold more flavor and are a little thicker and have more bite than ALDI’s regular Clancy’s BBQ potato chips, which are the thin & crispy kind. It’s probably best for all concerned that these are a limited time special buy item. 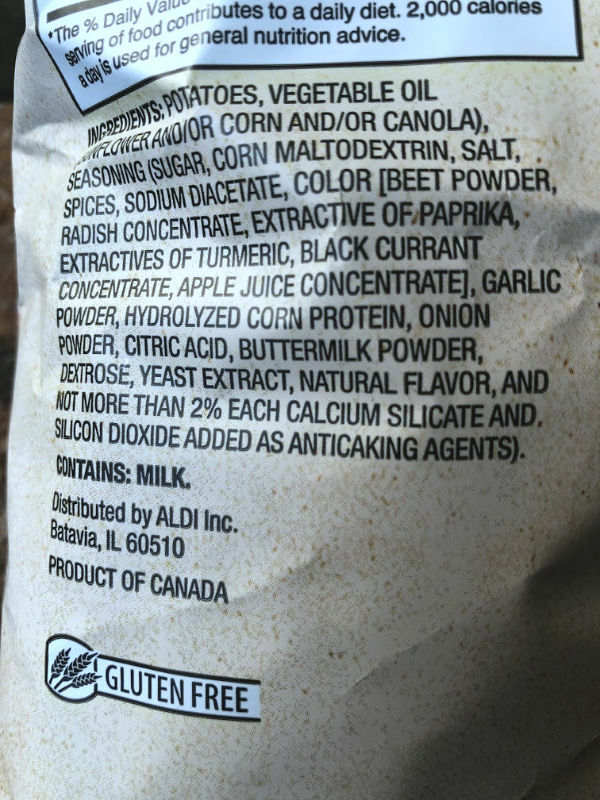 ALDI’s tandoori BBQ flavored potato chips are gluten free. If you have other food allergies in your family, though, be aware they do contain both milk (which you’d expect in a tandoori flavored chip) and corn (which you may not). 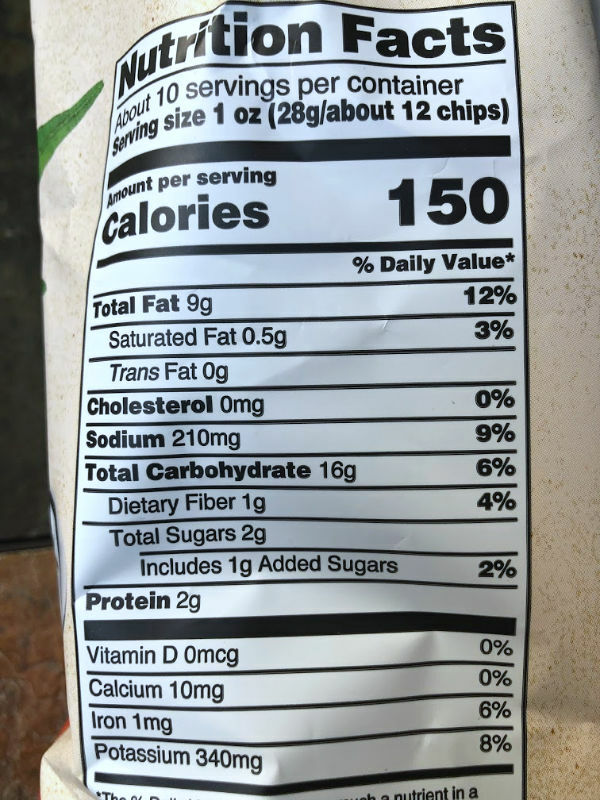 And here’s the nutrition info on these. (As potato chips go, they could be worse, right?) And hey — I’ve heard that potato chips are “the healthiest unhealthy snack.” So, let’s go with that. So there’s my Tandoori Barbecue potato chips review in a nutshell. Did any of you pick these up? If so, what did you think of them? 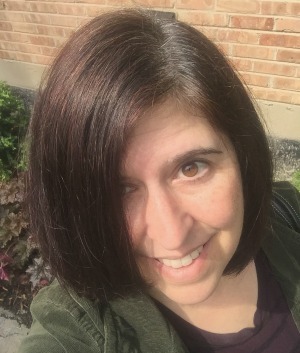 ALDI Finds are limited time special buy items that are available in stores only while supplies last. So if you spot something you like, be sure to grab it while you can! Anyone else try these? 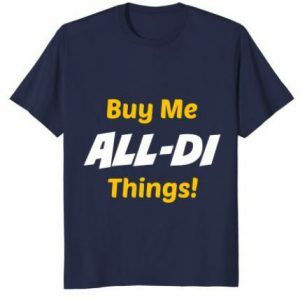 If not, what caught your eye among this week’s ALDI limited time special buys?